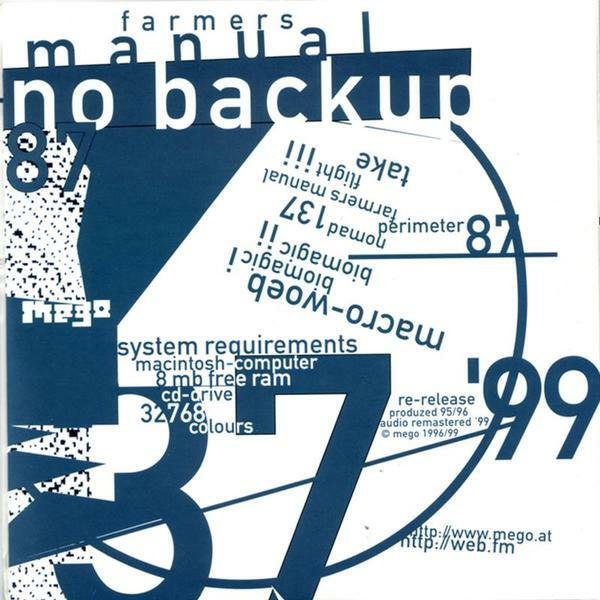 A thrilling early emission from the Farmers Manual camp, No Backup is one of those albums that made the world of glitch-based electronics so compelling. Importantly, this stuff still sounds utterly relevant now, long since the very term 'glitch' has become something of a dirty word. 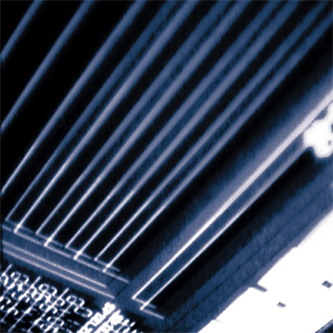 There's more than a slight air of punk-fuelled nihilism in the group's work, and although that was most thoroughly explored in their later work (particularly in their career defining live document, rla), No Backup finds the group gleefully pulling techno apart at the seams, revealing the inner workings of electronic music in all its circuit-frazzled, hard drive-melting glory. At this stage in the band's career, they still weren't adverse to the odd beat here and there, but beneath the surface of those crisp, rigid percussive constructs you'll find some truly bizarre pieces of music that hint towards the kind of radicalism and avant-garde transgression that would later characterize their work.